Rejuvenation Inc., of Portland, Ore., is recalling about 1,055 articulating wall sconces. The joint of the articulating arm can pinch or cut the electrical wire causing it to fray, posing a shock hazard. The company has received four reports of the wires of the sconces being pinched or fraying. No injuries have been reported. 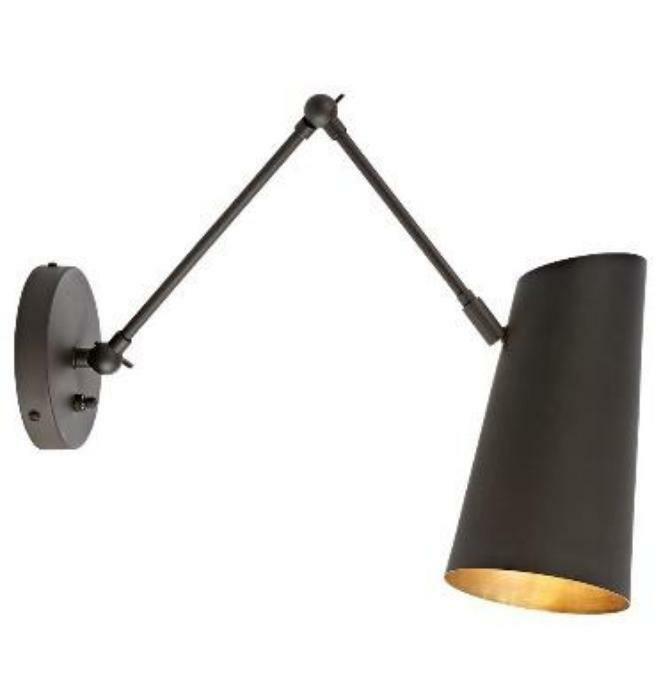 This recall involves Rejuvenation Cypress and Imbrie model articulated wall sconces. The wall sconces have articulating jointed arms and adjustable shades in various colors and finishes. They were sold in plug-in (also called pin-up) and hard wired versions. The sconce arms measure about 16 inches long. Each sconce has a label located inside the canopy of the sconce that contains the SKU number, configuration ID, manufacturing date and production order number. The following SKU numbers are included in the recall and are printed on the production label: A1327, A1328, A1329, A1330, A1331, A1332, A9591, A9592, A9593, A9594, A9595, A9596, A3621, A3622, A3625, A3626, A3623, A3624. The sconces, manufactured in the U.S., were sold exclusively at Rejuvenation stores nationwide from September 2016, through March 2017, for between $250 and $400. Consumers should immediately stop using the recalled sconces and contact Rejuvenation for instructions to receive a free repair or replacement sconce, including shipping and charges for inspecting, removing and replacing the lamps by using a licensed electrician. Rejuvenation is contacting consumers who purchased the recalled sconces directly. Consumers may contact Rejuvenation toll-free at 855-347-2143 from 9 a.m. to 5 p.m. (ET) Monday through Friday, email customerservice@rejuvenation.com or online at www.rejuvenation.com and click on Safety Recalls for more information.